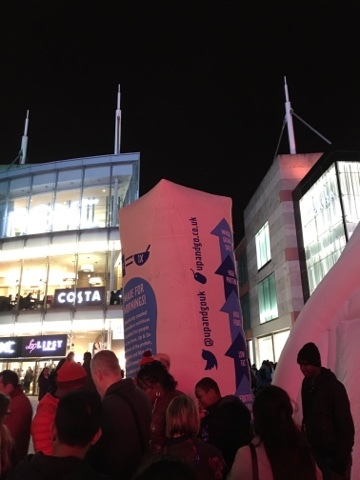 And a queue of people - and those leaving the queue had product samples! 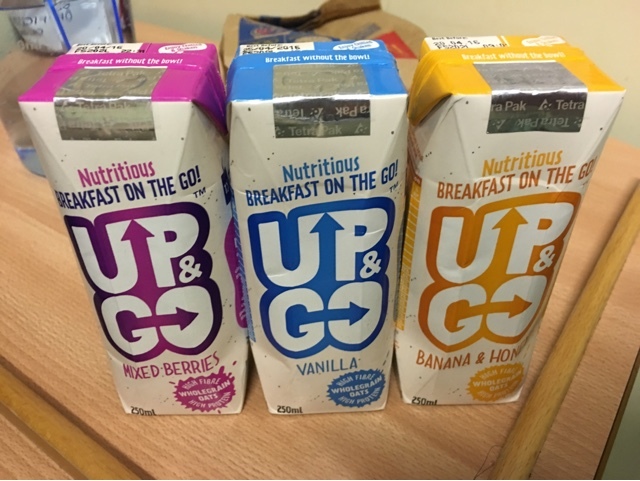 Naturally I joined in and revived three flavours of something I'd spotted on bus stop adverts but not picked up - An Australian Breakfast alternative called Up & Go. 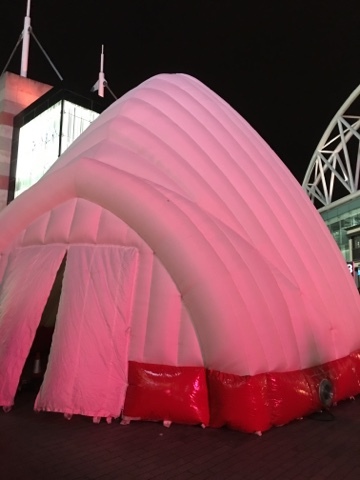 The halo of people surrounding the igloo were mostly lamenting the fact the straws fell off easily the only audible review I heard was "ew!!". I however, quite like this sort of thing! 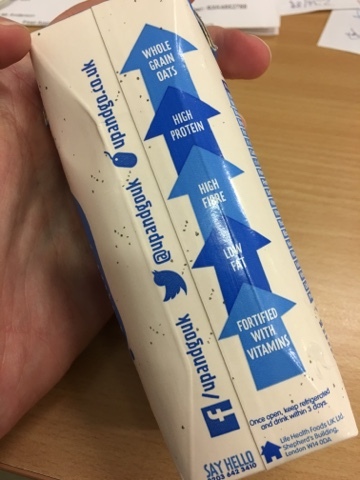 It looks fairly normal - like a heavy milkshake. 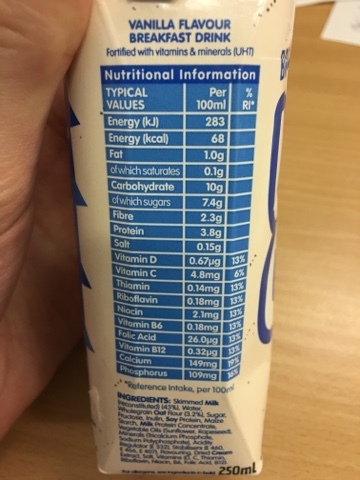 It is essentially just that - lots of vitamins in a milky drink with a nice flavour. 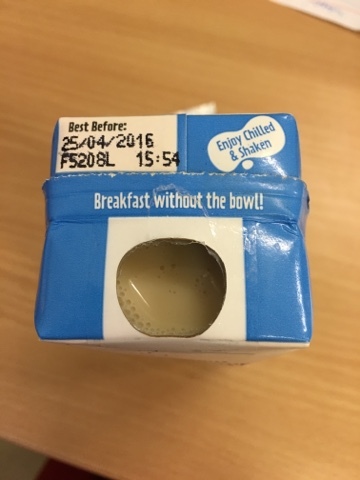 The extra fibre makes the drink thicker, but in a nice way. The oats and the flavours work very well together and I particularly liked the red flavour even though mixed berries is a little vague. 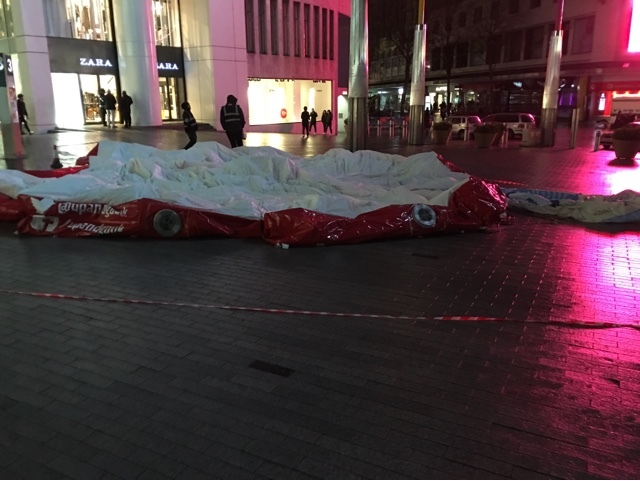 A short while after I wandered back through town to find it all deflated. Maybe it will show up in your town soon.